Read this as part of Buddy Read with Reading Is Fun Group. This is considered a classic but it is soo very different from the other classics that I have read. I don't know why, but always because of the title of this book I thought this will be a difficult book to read and kept on pushing off reading this. How I repent not reading this earlier!! Firstly I had no idea that this whole book is from a child's perspective. The book's basic premise does deal with a very serious topic . But the way it has been written somehow makes it easier to read (I did not have the heavy feeling that is associated with most of the classics). The start of the book reminded me of all the children's book I have ever read- the world is innocent all around and life is all about fun and games. But as the story moves forward and the main protagonist (Scout) becomes aware of all the evil's that surround her, we too experience this awakening with her. I really think this was a very unique way of making the reader realize how the innocence of this child is shattered and there is a stage of awareness of the rights and wrong (We all have been through that). The author has also beautifully iterated to the reader that it is easier for the children to differentiate between right and wrong than adults who are prejudiced by their own narrow view of how the world should be. If you haven't already read this, I highly recommend reading this book. I am very interested in seeing the screen adaptation of this story. 40.0% "One person can have soo many sides to them...."
55.0% "That was oddly moving"
75.0% "Fingers crossed for the verdict"
Nice review, Poonam! This is one of my favourite books. Nice review! 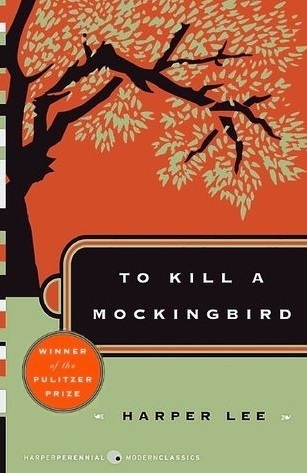 Even though this was an average read for me, Scout's character and her relationship with Atticus was my favourite part. Supratim wrote: "Nice review, Poonam! This is one of my favourite books." Neha wrote: "Nice review! Even though this was an average read for me, Scout's character and her relationship with Atticus was my favourite part." Thanks Neha! I loved Atticus and his relationship with Scout was adorable. I'm glad you took the plunge and read it. Have you seen the movie? It does a spectacular job with the story. One of the few movies, imo, that is just as good as the book. Nameeta wrote: "awesome review Poonam. I felt the same way I read it the first time. hoping to pick it up again soon"
StMargarets wrote: "I'm glad you took the plunge and read it. Have you seen the movie? It does a spectacular job with the story. One of the few movies, imo, that is just as good as the book." Ashok wrote: "Thanks for the recommendation. Adding it to my list. :-)"
Sruthi wrote: "Wonderful Review, Thanks for recommending :))"
Thanks Sruthi and Happy Reading! !